Champion Bully Breeder Marco Suarez discussed his idea of the ideal American Bully. Suarez is well known for producing champions. His most famous production being Paco. While many breeders achieved the look of the American Bully by adding bulldogs to their bloodlines, Marco achieved the look solely by line breeding true American Pit Bull Terriers. Last, but not least, Exceptional temperaments (This is their highest priority). The foundation blood of Suarez Bulls Kennels is Razors Edge, Gaff and Gottiline. They breed for a more compact version of the American Bully, which sits lower to the ground while still maintaining mass and width. 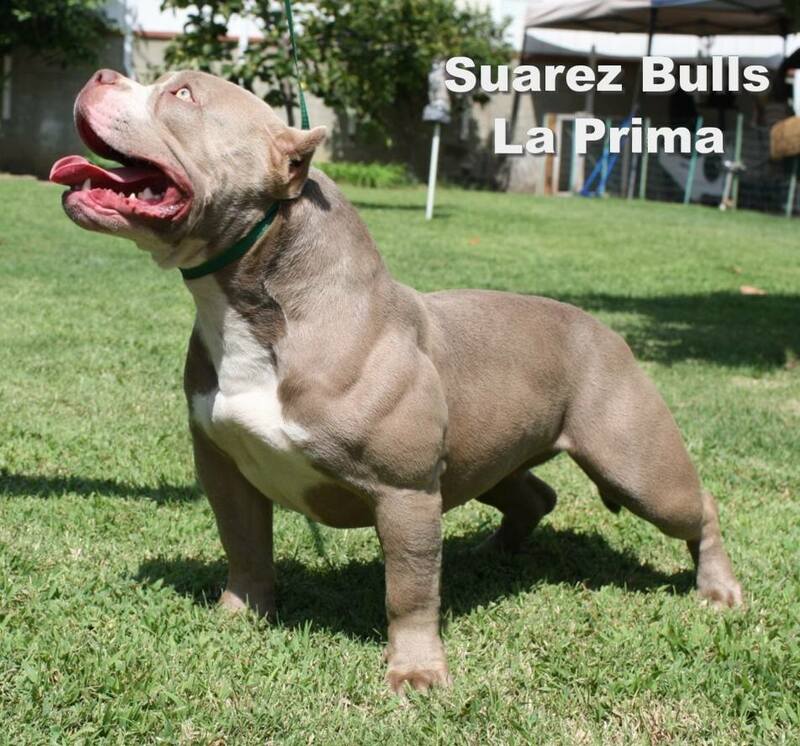 Many of the dogs that Suarez Bulls Kennels breeds would fit into the pocket class of the American Bully. Males must be under 17 inches (43 centimeters) and no less than 14 inches (36 centimeters) at the withers. Females must measure under 16 (40centimeters) inches at the withers and no less than 13 inches (33 centimeters). Note: This height is determined by a dog’s adult height. Pocket Bullies share all of the same traits as the Standard American Bully. They are simply a more compact form. They are not penalized for exhibiting extreme mass, muscle, or an excessive bulky body type.